This tree in the cypress family goes by many names: Alaska yellow-cedar (my preference), yellow cedar, Alaska cedar, and Nootka cypress, to name a few. Its scientific name has several variations too, largely because taxonomists have been unable to agree on the genus of the tree: Callitropsis nootkatensis (my preference), Cupressus nootkatensis, Chamaecyparis nootkatensis, and Xanthocyparis nootkatensis. If you’ve been in landscaped residential or commercial areas in the Pacific NW, you’ve seen Alaska yellow-cedar. Landscapers love it. 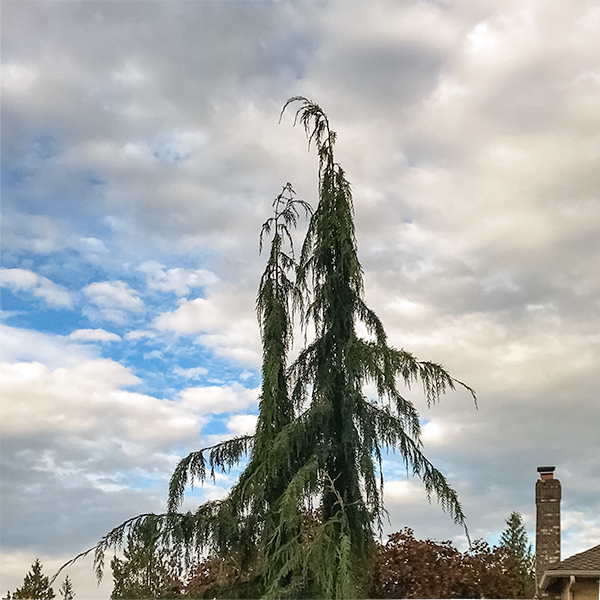 And what landscapers prize the most is a particularly droopy, smallish, cultivated variety called weeping Alaska yellow-cedar, Callitropsis nootkatensis ‘pendula’. Within a quarter-mile or half-kilometer of my house, there are a number of these weeping cultivars planted in people’s yards. And the Safeway supermarket near me has a number of them growing in planters around the parking lot. What’s special about this tree? 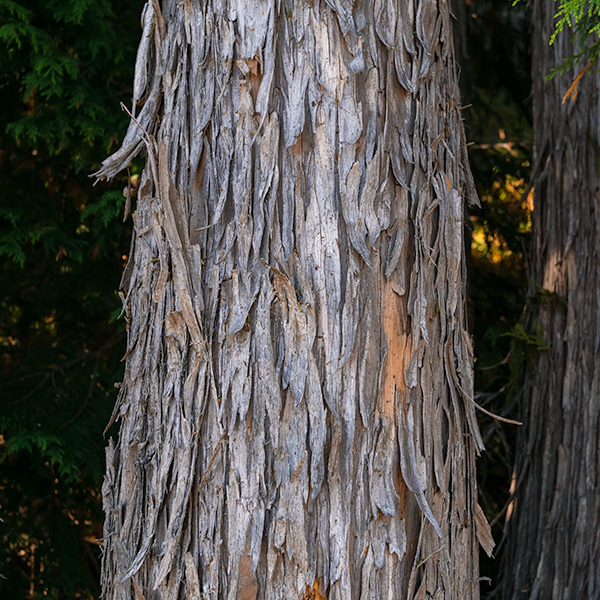 (1) Alaska yellow-cedar may have the most decay-resistant wood of all Pacific NW trees. (2) For that reason, trees can live to exceptionally old age, exceeding 1,500 years. (4) In the southern part of its range—Washington and, to a lesser extent, Oregon—the tree grows only at mid-to-high elevation in moist mountain areas. This means generally west of the Cascade crest. 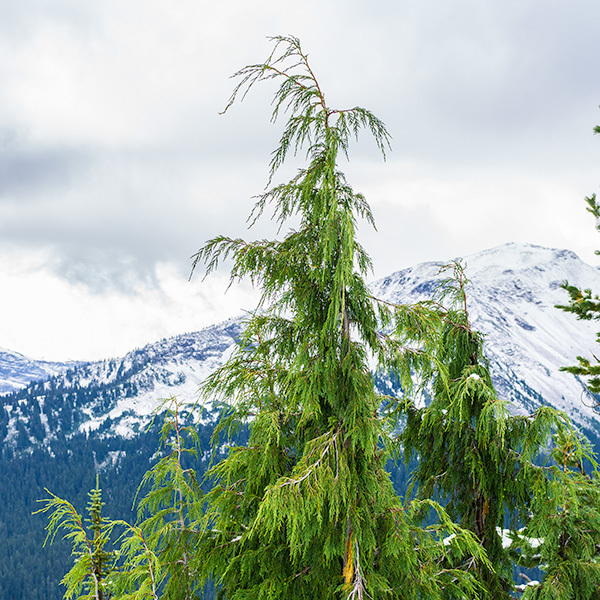 (5) In the northern part of its range—from the central coast of BC up to Prince William Sound in Alaska—Alaska yellow-cedar grows from tidewater up to alpine treeline, one of the only tree species to do so. (6) The lumber is especially valued in Japan. Most large clear logs are shipped there. 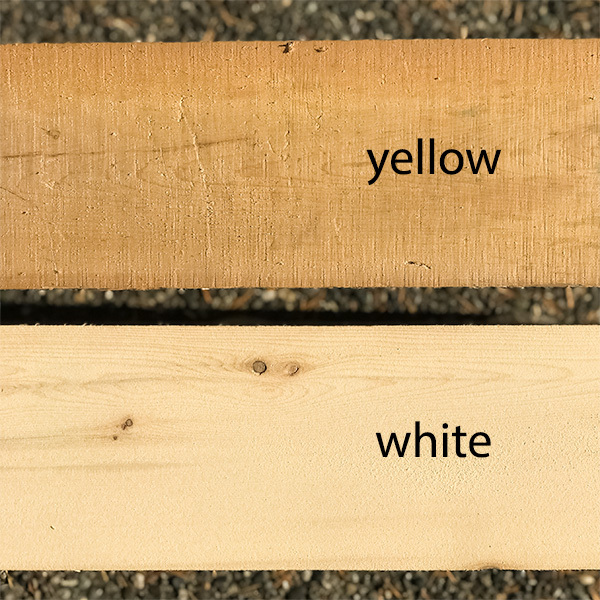 Why is Alaska yellow-cedar called “yellow”? I can think of three possible reasons. One, in the mountains, when you look at a slope of trees (e.g., mountain hemlocks, subalpine fir, Pacific silver fir), Alaska yellow-cedar stands out as a yellow-ish patch against a darker green background. The color difference is easy to notice. It may be due to the natural color of Alaska yellow-cedar’s scales. Or, the yellower color may be because the dead scales of the tree turn yellow (as opposed to brown) and tend to remain on the tree, at least until a storm shakes them off. Two, the bark of Alaska yellow-cedar is shaggy. It forms strips. The bottoms of the strips tend to hang loose from the tree, exposing the next layer underneath. That next layer is yellow-ish. Three, if you start sawing Alaska yellow-cedar, at first the wood is creamy white. But within an hour or so, the freshly sawed surface turns yellow. (Eventually, if out in the sun, it turns gray.) Perhaps you’ve noticed this if you are a trail worker at mid-to-high elevation (e.g., cutting pieces of Alaska yellow-cedar for crib steps), woodworker, boat-builder, or DIY-er. In this photo, both pieces of wood are Alaska yellow-cedar from my garage. The top piece is "as is" to show the yellow color. The bottom piece is freshly sanded to show the white color (which will soon turn yellow). I suspect the yellow color of the lumber is the reason that the tree is called Alaska yellow-cedar. Do you have any information on the true origin of this name? Please share it! Newer PostIn the fall, why are alder leaves on the forest floor still green?